It's a pleasure working with Nick at JDS. We have been redesigning each room in our home. 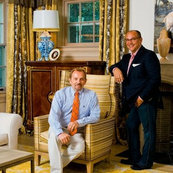 He listens to my ideas and works with my style and has transformed several rooms in my home beautifully. I look forward to what he has in mind as we continue to work together.